The main argument of the Epistle of Hebrews is that “we have a great High Priest” (Heb. 4:14; 1:3; 2:17f; 3:1; 4:14-12:3). Jesus has passed through the upper heavens to the throne of God (1:3). The writer of Hebrews makes it clear that Aaron was a “high priest,” but Jesus Christ is “the great High Priest.” No Old Testament priest could ever assume that awesome title. Jesus is great because He is both God and man. He is “Jesus, the Son of God.” He is the Savior who became flesh, and He is “the Son of God.” Jesus affirmed His humanity and His deity. As a great High Priest Jesus has “passed through the heavens” and ascended to the Father. He is enthroned. It is His “throne of grace” to which we go as believers. 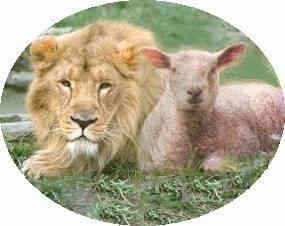 On the Day of Atonement the high priest of Israel would go behind the veil and sprinkle blood on the “mercy seat” (Lev. 16). However, every believer in Jesus Christ is encouraged to “come boldly unto the throne of grace” where He ministers grace and mercy. We are invited to go to our High Priest at any time, in any circumstance, indeed daily, and find help in our need. There is no trial too great, or temptation too strong that our great High Priest cannot give us His grace and strength. “Let us draw near” to our great High Priest “that we may receive mercy.” Where do you turn when you have a sense of sin and guilt and unworthiness? When we go to Jesus we receive mercy. Jesus did not give us what we deserve, but what we do not deserve. At the throne we experience and learn that God pardons, loves and accepts us in His grace. Grace is the power of God working in us. At the throne of grace He gives us strength in the inner life to conquer temptation. The grace of God is always well-timed. It comes just when we need it. We find the infinite mercy of God's love and grace working in us when we come to His throne. Moreover, we are not just encouraged to go to the throne when we are in need. We are to “draw near with boldness.” We have “confidence to enter.” The blood of Jesus gives us perfect confidence in drawing near to our righteous Father. We enter in with boldness and confidence because we enter covered with the perfect righteousness of Christ. Jesus encourages us to enter in with the highest level of confidence, and the unhesitating assurance that there is nothing that can hinder us. The writer of Hebrews has in mind our drawing near to God’s throne without fear, without doubt, with no other feeling but that which a child feels in going to his loving father. The Scriptures admonish us to draw near with boldness. Jesus the Son of God is our High Priest. We do not have to work ourselves up emotionally or psych ourselves up to enter into his presence. No, the living, loving High Priest, who is able to sympathize and give grace for timely help, breathes and works this boldness in the soul that is willing to lose itself in Him. All that He asks of us is to make ourselves available to Him. This boldness is natural when we are gazing with our eyes fixed upon Him! Jesus, found and experienced within our heart by faith, is our boldness. As the Son, whose house we are will dwell within us, and by His Spirit’s working, He will be our boldness and our entrance to the Father.